(Phys.org)—Jason Wright, an astronomy professor at Penn State, has uploaded a paper to the arXiv preprint sever that addresses the issue of whether we have looked hard enough for extinct alien life—particularly intelligent forms of extraterrestrial life. In his paper, he questions whether enough effort is being put into looking for evidence of space-faring alien life forms (technosignatures) that are now extinct but who might have left behind evidence of their existence here in our own solar system—everything here is much closer, he notes, than the next-nearest star system. To be clear, Wright is not suggesting that he believes such forms of life once existed or that there is any evidence of them, as some in the media have suggested. Instead, he is merely suggesting that as part of a thorough search for alien life forms, we ought to include those that might once have been nearby, but who, for whatever reason, either left or went extinct. He notes that most current research involved in looking for life beyond Earth is focused on finding biosignatures—evidence of extraterrestrial life that is still alive today, including simple microbes. Evidence of extinct aliens would likely be difficult if not impossible to find on Earth, he notes, due to plate tectonics, weather etc., if timelines of millions of years are considered. But other bodies in the solar system are capable of holding onto material for very long time periods due to subsurface features that offer protection from meteor strikes and solar radiation—examples might include asteroids or moons, which, if aliens did ever visit our solar system, would have provided both shelter and privacy. He notes that technosignatures could come in a variety of forms—from evidence of mining to materials that could not have formed naturally. Wright suggests that some effort ought to be made seeking technosignatures, both here on our home planet (in rock that is millions or even billions of years old, perhaps) and as we study planets, their moons and other objects in the solar system capable of harboring evidence. One of the primary open questions of astrobiology is whether there is extant or extinct life elsewhere the Solar System. Implicit in much of this work is that we are looking for microbial or, at best, unintelligent life, even though technological artifacts might be much easier to find. 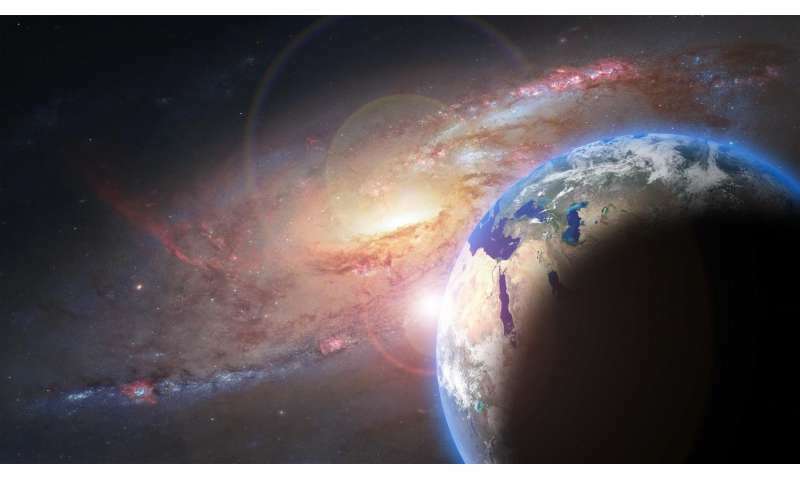 SETI work on searches for alien artifacts in the Solar System typically presumes that such artifacts would be of extrasolar origin, even though life is known to have existed in the Solar System, on Earth, for eons. But if a prior technological, perhaps spacefaring, species ever arose in the Solar System, it might have produced artifacts or other technosignatures that have survived to present day, meaning Solar System artifact SETI provides a potential path to resolving astrobiology's question. Here, I discuss the origins and possible locations for technosignatures of such a prior indigenous technological species, which might have arisen on ancient Earth or another body, such as a pre-greenhouse Venus or a wet Mars. In the case of Venus, the arrival of its global greenhouse and potential resurfacing might have erased all evidence of its existence on the Venusian surface. In the case of Earth, erosion and, ultimately, plate tectonics may have erased most such evidence if the species lived Gyr ago. Remaining indigenous technosignatures might be expected to be extremely old, limiting the places they might still be found to beneath the surfaces of Mars and the Moon, or in the outer Solar System. Not a bad idea, but... how is one going to improve his chances of stumbling upon an alien remnant of any type? The Earth is a big place and such remnants seem to be very rare (or maybe they are everywhere but we haven't realised what they are?) The solar system is even larger. Look for black monolith's ? Just visit Peru, and open your eyes. Modern archeology is finding that many of the hard stone work in Egypt had to of been done with higher tech means than just copper tools. Tool marks and cuts have been known and shown that have defied explanation until the advent of modern tooling. So I think that recognizing and proper esploration of the technosignatures that we already DO have, from previous human or Hominin Civilizations (why not, our high civ only took about 500 years between rockwork and iron age to full on space exploration, while we still have people living in mud huts now). Continued hiding of the fact that previous civilizations lived and died, some creating nuclear winter scenarios here on Planet (and subsequent glaciers remove much of the proof, aside from highly radioactive layers in the ice layers when they take cores in Antarctica). Humans are running into the proofs all the time and are giving little credence to those saying these items do not exist from past Civilizations, when they are held in hand. "a prior technological, perhaps spacefaring, species ever arose in the Solar System"
This was a very entertaining episode 20 years ago on Star Trek: Voyager (Season 3, Episode 23), but I would estimate the chances of it having actually happened as essentially zero. It is probably slightly more likely a probe from a distant solar system reached us at some point and left some scrap of evidence. Ufos have been reported by thousands of credible witnesses including airline pilots who have seen them close up and fighter pilots who have chased them. Amusing, he's looking for Ancient Aliens...And he probably likes to think of himself as a scientist. He needs to admit what he really is, a scifientist! And if he also believed in an Electricity driven Universe, what would he be then? This is a paper that poses questions and engages in speculation - it does not claim to have discovered or accomplished anything. It is probably slightly more likely a probe from a distant solar system reached us at some point and left some scrap of evidence. Interesting idea. If you were going to send such a probe, it would presumably be helpful to put one into a longer-term placement such as a solar Lagrange point and then send little disposable probes (cubesat-like) from it to look at the various system bodies? The relative cost of one mission like that versus multiple 1-off missions to interesting destinations in the same system would, I assume, pay off? So looking at various L-points might be a good way to start. He should look no further than Ceres, where a mountain was dug up, flipped, mined the top, and set down next to the empty hole. No 'intelligent' life form would wander from it's solar system. There are no 'economics' in traveling between star systems. If still looking for Ancient Aliens, then a scifientist. If "studying" the standard theory dark mumbo jumbo, then a pseudoscientist. If studying real scientifically proven phenomena related to electricity they are likely scientists. Perhaps, in this scifi scenario, Uranus V was mined.... explaining the strange features. Ufos have more questions than answers attached to them. Fairies were known in old times. There are many similarities between fairies and ufos. For one thing, both phenomena seem to be what people expect or dream of. It is as if something is reading the collective conscience, the mind of peoples and moulds upon its expectations. And I don't think that "something" is alien at all. Rather it is obsessed with humans and with lying to them: it is hidden, yet it appears to them. A bad thing is there, I'd say. An evil one. Ufos have more questions than answers attached to them. True. But there is no reason at all to assume an extra-terrestrial origin. Excluding the hoaxes and misidentifications, there are a lot of sightings and 'close encounters' that are almost certainly related to experimental (military) craft, including early drones (past few decades) and experimental jet-planes and other adapted nazi-designs ('40s-'50s). I'm fairly certain I've seen a test with a large stealth-plane over France myself. Unlikely in the extreme but worth keeping an eye out for. Visitors, I think, would be more likely than anything native to Earth or any of the other planets. And that doesn't mean I think they're likely at all. It's also worth keeping Clarke's Third Law: A sufficiently advanced technology is indistinguishable from magic. We should be looking for nanotechnology, for starters. So have gods. So have white spiders crawling on your skin (heck, when I was sleep deprived for 72 hours I saw those myself). Non-verifiable reports are worth...next to nothing. Reading through the paper I find the author makes an error all too often encountered when people talk about the future, technology or aliens. They always imagine it as something we have today: just moreso (megastructures, asteroid mining, city building, ... ) I find none of this plausible. structures would be expected to fall into disrepair, especially if its creators are absent. - able to construct itself when needed. - able to repair itself when needed. - able to *remove* itself when no longer needed. Especially the last point says to me that finding highly advanced techno-ruins is unlikely. 2) Mining. If enough energy is available (and access to ever more powerful energy sources is a hallmark of technological advance) you just pulverize an asteroid, turn it into plasma and extract the elements you need. You don't start sinking bore holes. This would leave no traces. 3) Size of artifacts. Efficiency is the name of the game in technological advances. Which in turn means miniaturization. Megastructures make no sense from an advanced tech POV. What is technology, at it's core? It's tools. Why do we use tools? Because they allow us to do things *our bodies* cannot. So what happens after you can start to modify yourself in any way you want (not just biologically, but also by fusing mind and technology)? When you can modify yourself to accomplish ...anything... what's the point of creating tools/structures/artifacts? There is none. AntiAlias has gone through many words to continue the NSA counter-intelligence position. Is he on their payroll? Can't let this inquiry go further in the science community. They have been dumbed down for decades through ridicule, for which they are very vulnerable. Must keep it up! Nay ... You are giving that guy far too much credit. His emotion fueled comments are, at best, incoherent drivel and the remainder outright fantasy. Considering some of the other commentators on this board ... he's the lesser of two weevils. Erm..whut? What do my posts have to do with a 'counter intelligence position' (whatever that may be)? "So looking at various L-points might be a good way to start." Good point. We need to understand what is located at the various L-points around the solar system anyway, so it can't hurt to keep this in mind as we continue to explore. Just for giggles I shot the author an email with the above objections. Shortly after a species develops the ability to leave its planet it will begin the transition to a post-organic machine life. And machine singularities will be just as curious about threats to their existence as we are. Travel to distant realms might entail making changes to mitigate threats such as large scale engineering or species management. Or simply establishing remote observing and monitoring facilities. If there is or was an alien presence here it would undoubtedly be a machine one, and its sophistication and intent would make it extremely difficult to find. Singularities would have no reason to communicate with typical pre-emergent versions of themselves. Nothing to learn, nothing to teach. Other intelligent life forms, if they exist, will have to abide by the same physical laws as we do BUT they don't have to think like us; they don't have to have the same social, economic, environmental etc. values that we have and so on. Their evolution could be very different from ours. So I think we are debating in a vacuum. And what if there are extra physical dimensions...well that only complicates the matter. Those here talking of UFO's MIGHT be an entirely different question and a debate on that might not be appropriate here. UFO's just like any other topic, I would suggest that 'believers' and 'doubters' alike should spend a few years, 'in the field' as it were, investigating the phenomenon before casting opinions. Get out among the hoaxers, liars, those who see Venus through binoculars and swear 'their' UFO was dancing/shaking around, those who witness something that defies explanation. Try searching for the truth among that lot...it ain't easy! Try searching for the truth among that lot...it ain't easy! Especially with the DOD counter-intelligence mudding the water's for decades. So much non-sense stories spread among the credible reports, that doubters naturally discount the whole mess, just too sooth the anxiety that would instead result from the uncomfortable knowledge that we are being monitored. But like us, they will have begun to use technology in their pre-sentient phase, and it will be their interaction with their technology that guides their emergence. They will begin to construct machines that are better at doing things than they are. And at a certain point, just like us, they will begin to make machines that are better at thinking than they are, while at the same time designing machine replacements for elements of their own construction. The transition need only take a few 1000 years. Sentient beings become sentient because they can invent things that are more capable of functioning than they are. There is nothing that we are and nothing that we can do that we cannot invent something that will do better. And it will be the same for any other sentient species. Especially with the DOD counter-intelligence mudding the water's for decades. You are aware that the DoD does not hold sway over the entire planet? You should know, being on their payroll. But then you really don't, being rather low-level. Have you personally surveyed many of other countries about the topic? I have technical friends and even foreign family who are credible witnesses. Anyway, you will find that those of other countries are not so dumbed down as the population of the US. You should know, being on their payroll. That would be pretty tough, since I'm not a US citizen. Anyway, you will find that those of other countries are not so dumbed down as the population of the US. I'll actually agree with that particular statement. Ever wonder why the number of UFO sightings in the US is so high? There's your answer. Well (vell?) You must be aware then that the germans invented ufos. -and sold the tech to andrea rossi. This reminds me of a lunatic theory in the 1970's that entire civilizations had arisen and disappeared on Earth eons before modern humans came into being. The fact there is ZERO evidence for it doesn't dissuade the kooks. A long time ago I went to the Grand Canyon and didn't have any camera equipment. So I bought several of those Kodak camera-in-a-box things. One of them had a problem, and some of the film got crinkles in it. The pictures developed from the crinkled film had some features that looked exactly like the "UFOs" in several pictures that are often presented as "proof of UFOs" by the credulous. They looked like little flying saucers with a glowing globe on top. Yeah, it's pretty weird. A foreign national gets paid by the DoD to do 'counter-intelligence'* against UFO reports on a site that has (to my knowledge) not once reported on UFO sightings. The problem is a lot of UFO sightings in Europe and the Far East don't get reported (as I found out years ago) so one cannot even, reliably, do a 'density' study. And many people in the country where I live don't even look up and know very little natural phenomena let alone anything else, it just doesn't go with there culture. However, I did perform a VI study and I tried to follow up on it. The point is though, that there is possibly more than one source/reason for some particular phenomena. Da Schneib, thanks for sharing your photographic experience in the Grand Canyon. Have you ever noticed that UFO believers tend to act like they have discovered evidence for supernatural beings as opposed to space traveling aliens? UFO believers seemingly never suggest that we could or should be doing something about it. Unlike visits from angels, visits from aliens should prompt massive global efforts to learn as much about them and their technology as possible. If it is clear interstellar travel has been accomplished, that would be a huge hint that we need to be pushing our space exploration efforts much harder than we are. We haven't even left LEO in nearly 45 years. UFO believers should be screaming for us to respond, but they are content in their beliefs they know something the rest of us don't and their analysis stops there. @Mark Thomas maybe your last sentence is a little unfair. Perhaps if you did a survey 'true believers' are hard to find, that is, believers who have had very little thought about the issue, haven't had an 'UFO encounter'.etc. yet decid UFO's must be of alien origin. 'believers' who have had some kind of encounter and that is the majority of us (using UFO in its accurate definition) will agree they have seen something but will be doubtful about its origin. Governments have been petitioned in the past, USA, Britain and so on but results were less than useful so the 'ordinary person in the street' can't do much at all. Some will join UFO groups and then they are seen as 'nutcases'. In a previous comment, I said truth is what I sought but would frequently get a 'blast' from a 'witness' when I behaved 'objectively' during an interview, (because of not agreeing at once they had seen an un-Earthly craft) and yet get called a 'UFO nut' by neighbors. Not many people feel comfortable with that. "your last sentence is a little unfair." We can debate the point, but how about constantly recording, wide-field video cameras pointing up? How about cheap detectors for magnetic, various EM and maybe radiation phenomena? If some folks really and truly believe we are being visited by alien spacecraft, not angels, then they should act like it. At a minimum, they should support instrumenting as much of the planet as possible to try to detect these incursions and patterns of alien behavior. How come with all the cheap, internet-connected technology we have available, nobody I am aware of is calling for that? Maybe because deep down they know it would be like trying to catch angels or ghosts on camera, i.e., it is "wild goose chase." Ironically, such a detection grid would be useful for finding "alien" meteorites and I understand a few such recording stations have been built for the purpose. @Mark Thomas although I agree on one or two points I think you are assuming too much of the 'ordinary person'. Some people have enough problems earning keep let alone extras for UFO detection devices. Many organization held 'sky watches' and that was useful if only teach the 'ordinary person' about the tracks of artificial satellites. But if anything unusual was recorded it was because 'one saw what you wanted see'. It was a no win situation. Also in some cases this was disallowed because; secondly, in some places there are strict government laws and licenses are required and that too may have a cost. Classifying the UFO phenomena with angels and other paranormal topics is also incorrect and outdated. Mimath224, I agree the argument does not necessarily apply to folks who are young, ill or having financial issues. However, there are a number of authors and people who appear repeatedly in the media (suggesting they have money) who could easily afford to do something. All I am suggesting is that IF classifying UFO phenomena with angels and other paranormal topics is incorrect and outdated, then people with the means to respond that are convinced we are being visited by potentially malicious aliens should act like it. By analogy, if you truly believe people were trying to break into your home every night for nefarious reasons, then grow up act like it. Set up cameras, bar the windows, buy a couple guard dogs, get a security system, alert the police and neighbors, buy some firearms and learn how to use them, etc. Don't just sit there in wonderment telling everyone over and over how you believe folks are trying to break into your home when you do absolutely nothing about it. Mimath224, perhaps the larger issue here is that the passage of time suggests all these alien occupied UFO stories are a lot of crap. The UFO storytellers say be have been visited for millennia and that the US govt has dead aliens and spacecraft in cold storage. It has been 70 years since Roswell. We now have atomic force microscopes capable of going over materials atom by atom. So how come we have learned exactly zero in all that time? There are no technological discontinuities in our history. How can a conspiracy that big go on forever? How come the biggest proponents have done nothing about this, not even using cheap cameras? The answer is obvious, they don't act like it is real, because it is not real. @Mark Thomas so you think the issue is 'crap' and I think otherwise (my May 4th comment still applicable here) so I'll leave it there. Have a nice day.